How's this for cool? 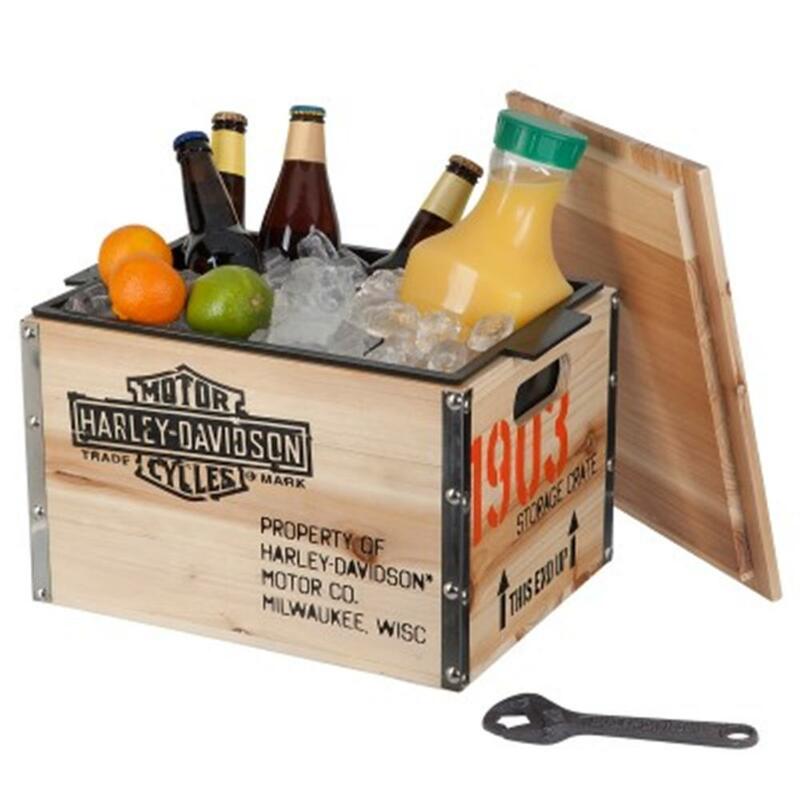 This wooden crate doubles as a creative storage container and a vintage-look beverage cooler when it's time to chill. 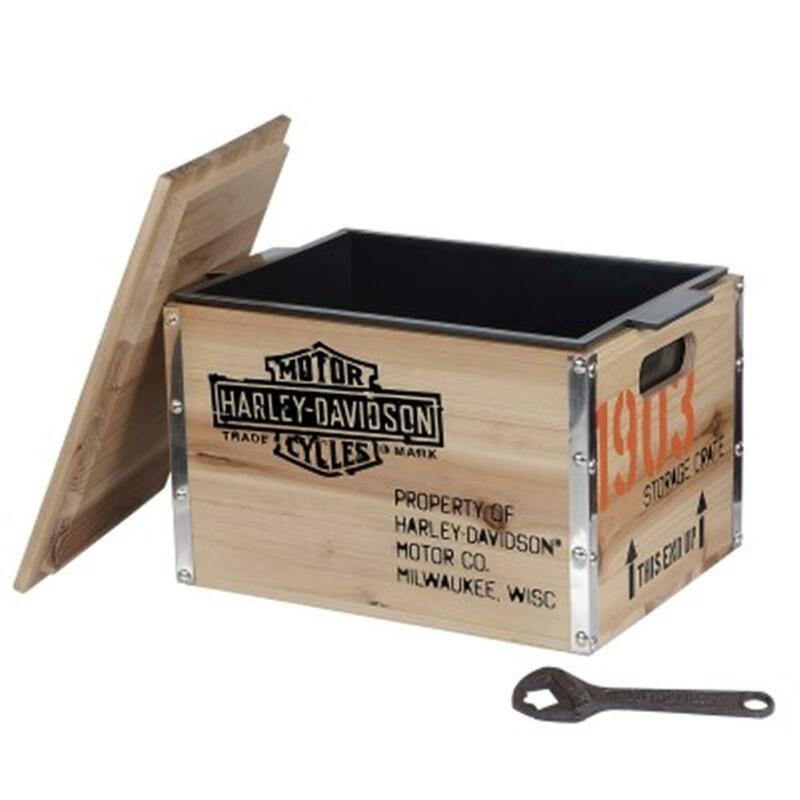 The H-D® crate is stamped with the recognizable H-D® Bar & Shield logo and includes a custom tooled, cast iron wrench bottle opener and has a removable black plastic liner. 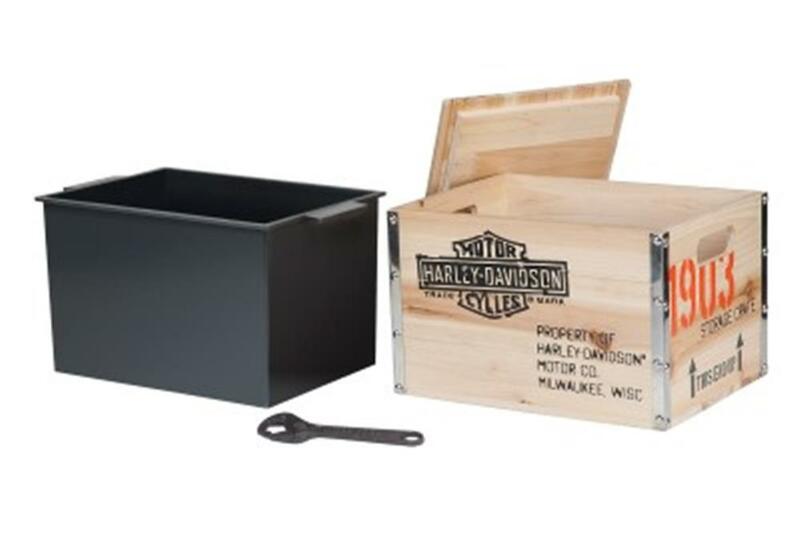 Measures 13.75"W x 10"H x 10.25"D.